Flanked by forests, Eugene, Oregon is where the great outdoors meet innovation, laid back attitudes and university spirit. An emerald gem tucked between snowcapped peaks and sand-duned coast, Eugene offers as much jogging, boarding and hiking as it does history, inspiration and fun. 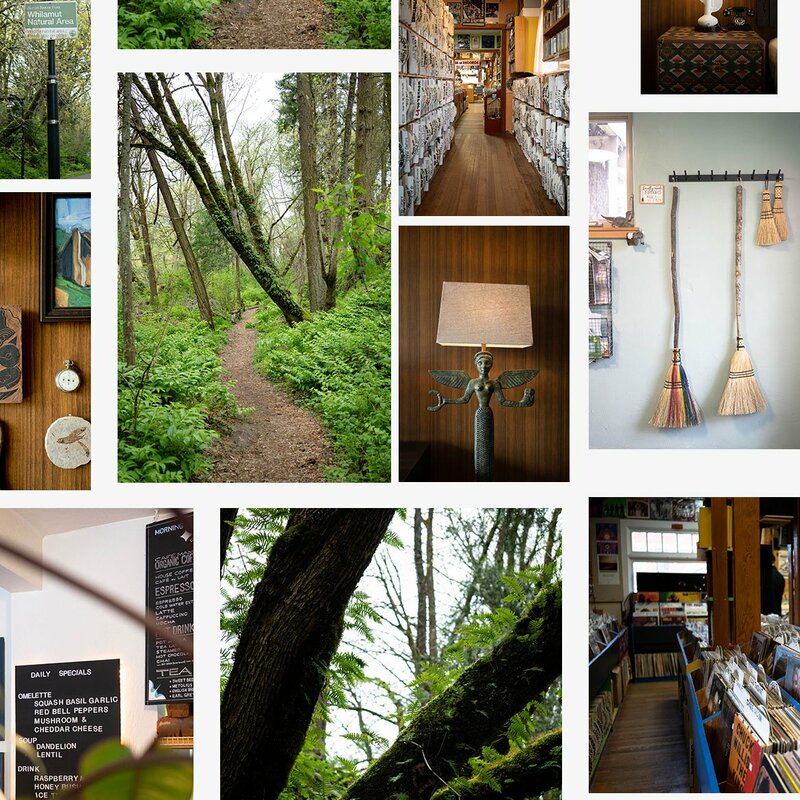 From quick neighborhood strolls to day-long adventures, this is Wandering Around Eugene. 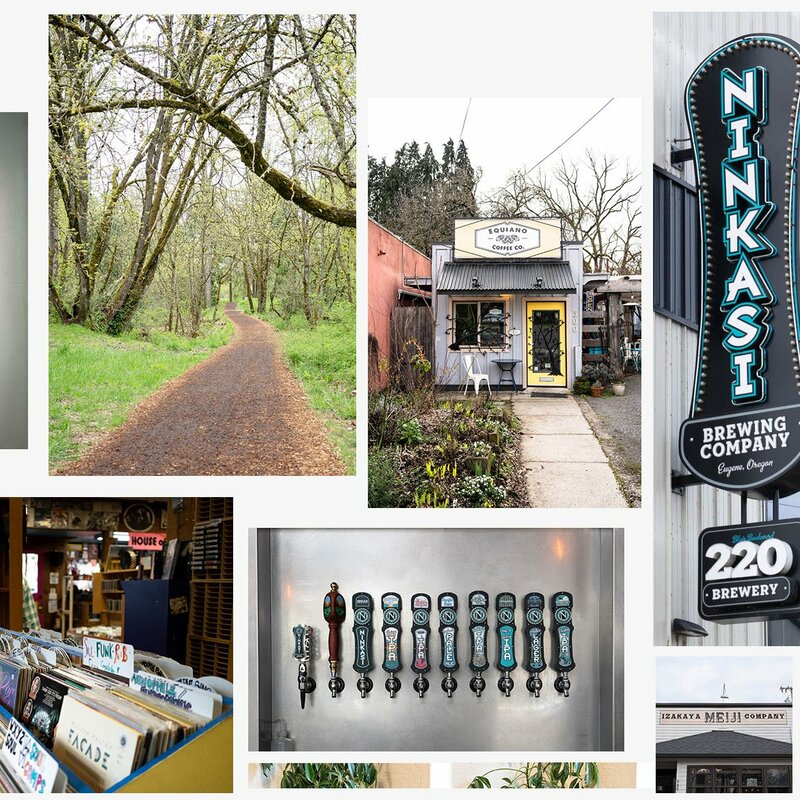 Birthplace of Bill Bowerman and Phil Knight’s shoe empire, Eugene — aka “Track Town USA” — is the place to put your feet to work. For quick bites, burgers, gelato or fancy feasts, the 5th Street Market has all the ingredients to unwind, fuel up or start your day. Gems like the David Minor Theater combine food and film in a cozy, intimate environment while Provisions has gifts, cheese and the town’s best gelato. Famed veggie-vegan eatery Morning Glory Café serves wild veggie variations, breakfast staples and everything gooey and delicious to hungry crowds daily. Graduate Eugene’s neighbor Electric Station is a must see, drink, eat. 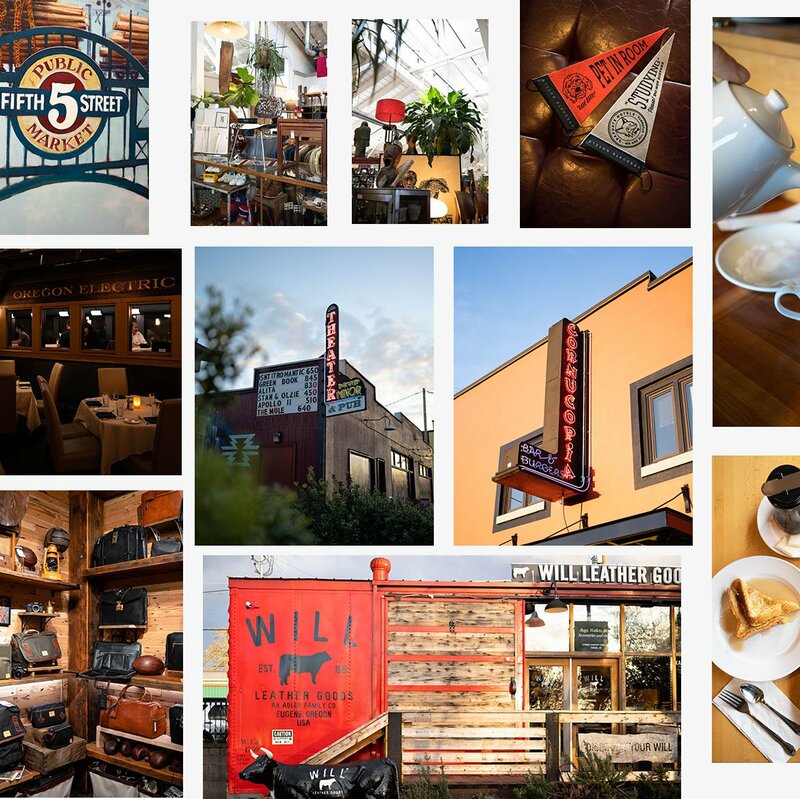 Built into an old train station, meals are enjoyed inside rebuilt train cars. 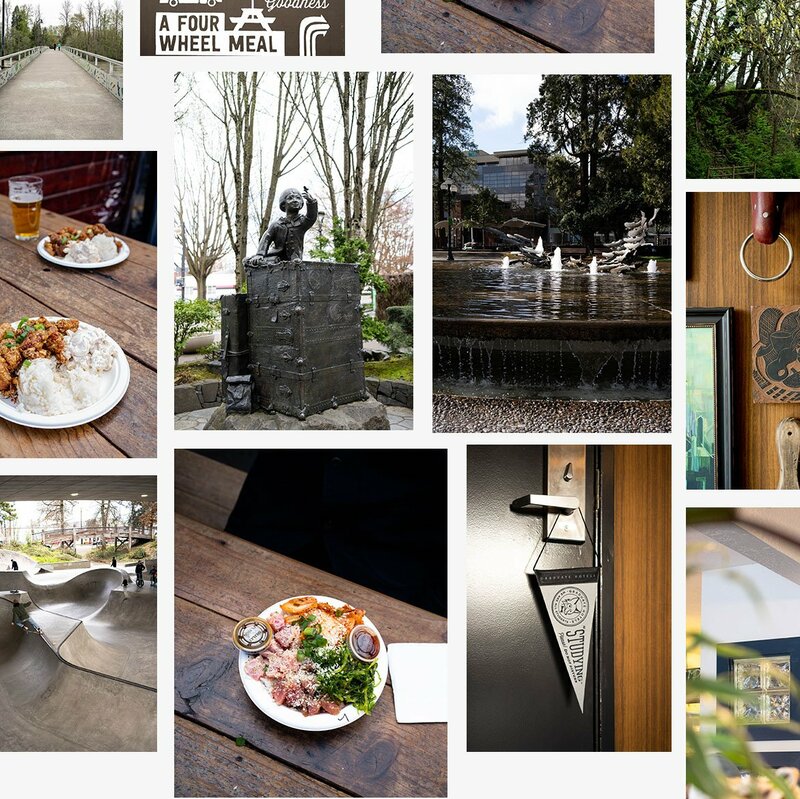 Head out the backdoor of Graduate Eugene for all things downtown and a 20-minute stroll to campus. 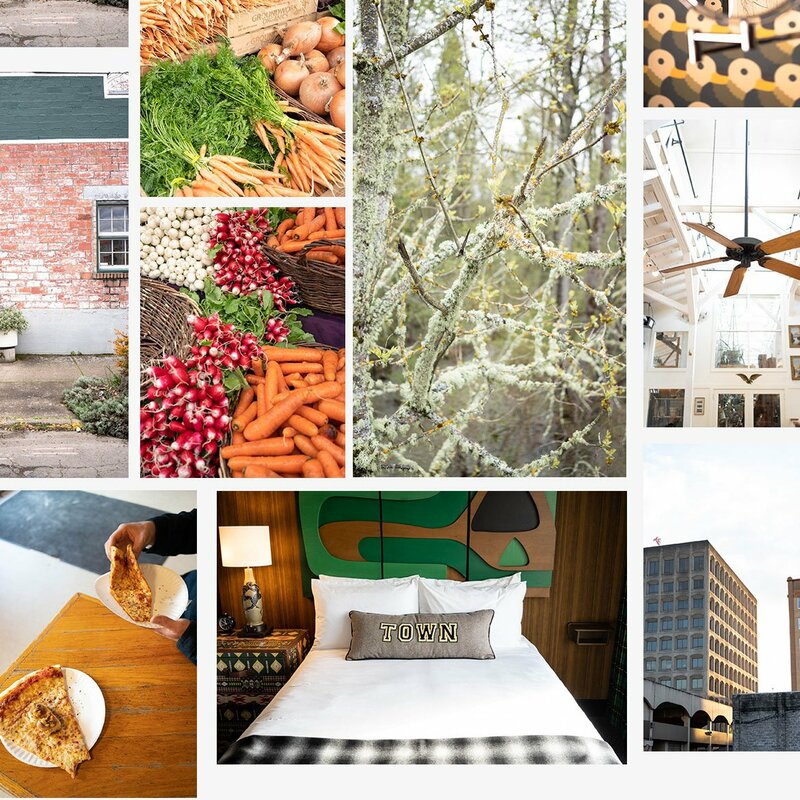 From the nightlife surrounding Broadway and Olive (now home to a Voodoo Donuts) to Saturday mornings at the Lane County Farmer’s Market, downtown is a nice mix of what was and will be in Eugene. Things change a lot there, but cigar bar and music venue Luckey’s Club has been around for almost a century. Stop in, take in the scene. For all the Animal House and Simpsons references you can handle, the University of Oregon campus is the place to be. You’ll find statues and sets that inspired longstanding popular culture, massive new structures thanks to a thriving athletic culture and more food, drinks and paths to world class running trails. 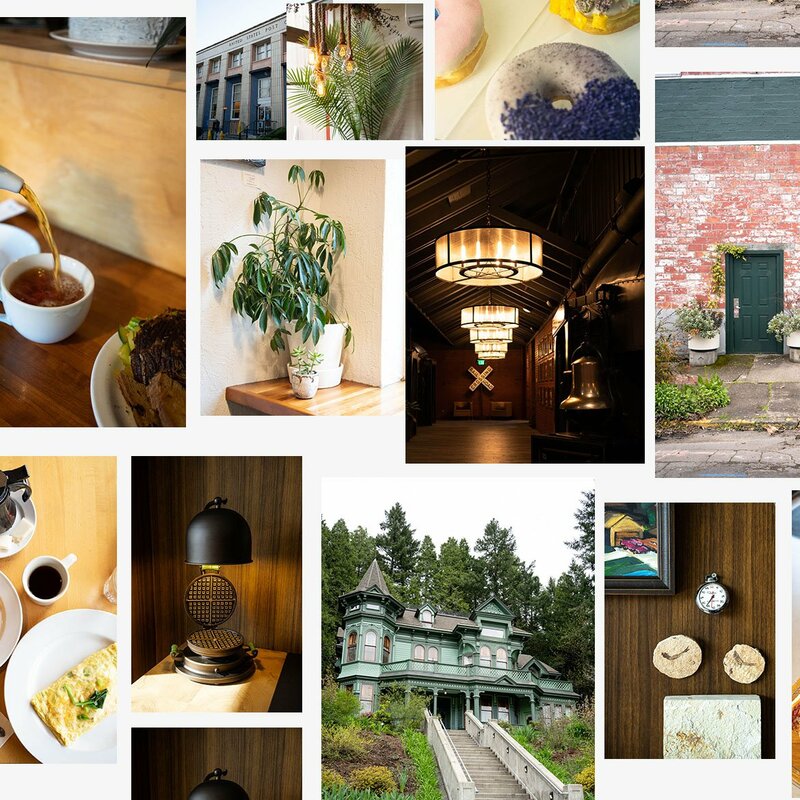 Top picks include a stop by Max’s (the bar said to have inspired Homer Simpson’s favorite Moe’s Tavern), Bepe & Giannis on 19th and Agate and Alton Baker Park. Across the bridge from campus, find Autzen Stadium, forest canopy walks and Prefontaine’s old jogging path. 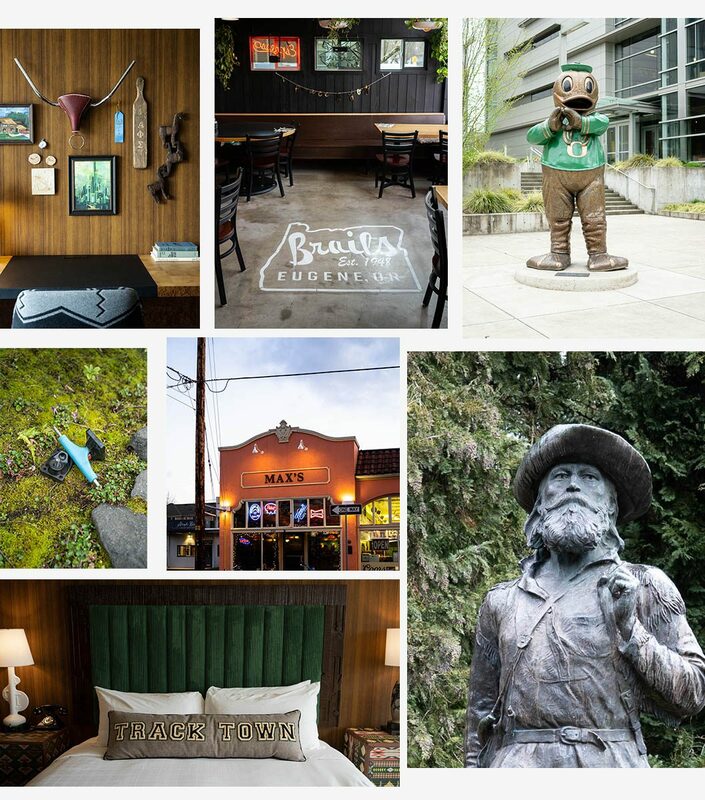 Eugene is spread out, sprawling in many directions and home to various vibrant neighborhoods. Each is worth a walk. Eugene is the former stomping ground of novelists Ken Kesey and Chuck Palahniuk, inventors, shoe dogs, actors and sports figures alike. Whiteaker is Eugene’s hidden hotspot and the home of Ninkasi Brewing, the brew house that kicked off Eugene’s craft craze. Stop by for a tour, the tap house or the giant arcade if you need to rest up. This neighborhood used to sport the best soul food west of the Mississippi, but now hosts a number of bars and restaurants all with a niche specialty. Don’t miss Izakaya Meiji for true to life Japanese small plates. Heading across town to Whiteaker, you’ll find Brails Café, voted the best hangover-cure breakfast in town year after year. Also, Beergarden sports not only a bar but an entire fleet of food trucks out back. 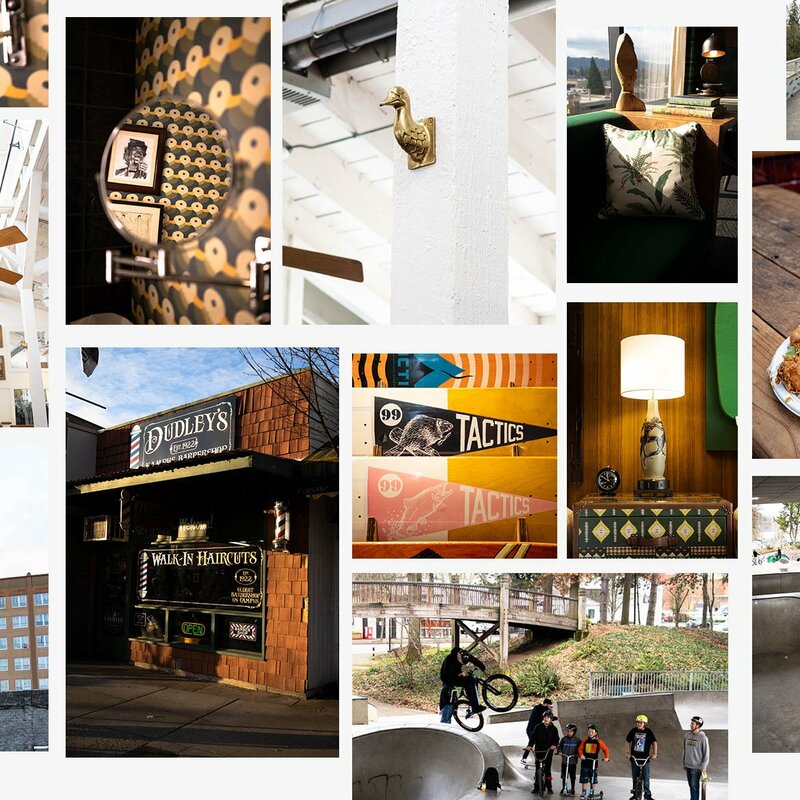 The world famous WJ Skatepark and Urban Plaza is America’s largest outdoor covered skatepark. Tactics Boardshop sells everything and anything skateboard and snowboard related. Eugene is a city that offers something for everyone — and enough natural beauty to give anyone a reason to enjoy an adventure.